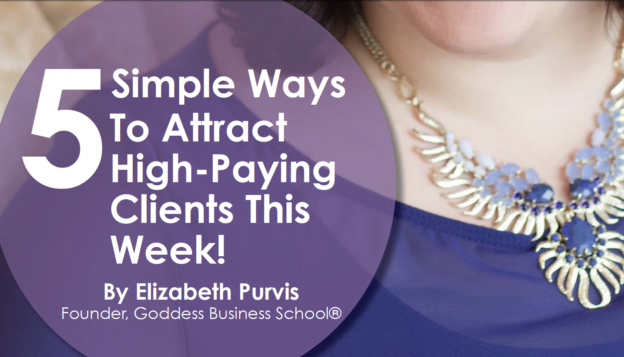 Elizabeth Purvis is the founder of Goddess Business School and the author of our resource this month: 5 Simple Ways To Attract High Paying Clients This Week! I am a strong believer in keeping it simple and my own experience has taught me that there is no magic bullet to success. Often times, the best way is the simple way so don’t expect a secret formula for bringing in high profile clients, instead, you will read some tactics that you’ve heard before, but this time I actually want you to take action. Creating your target list and you’ll find most targets within your current network. Drafting your email letter template. 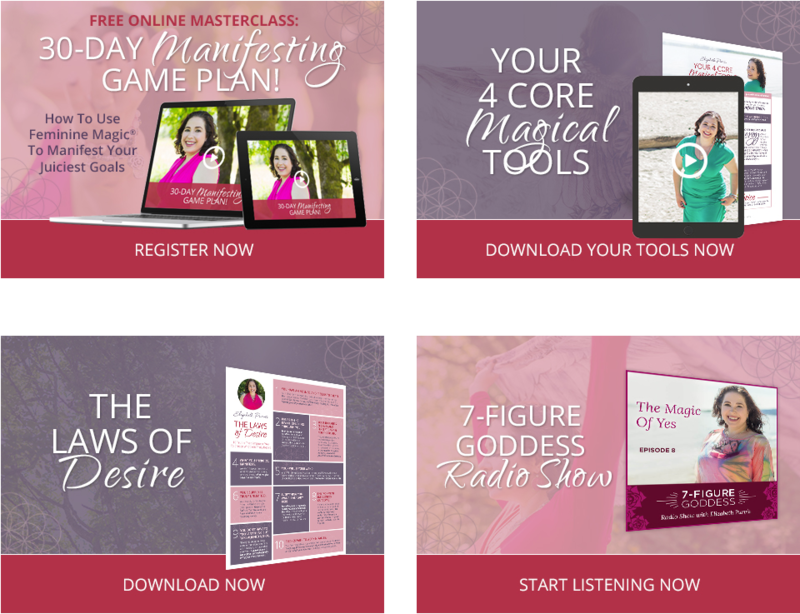 There is a template letter in the download, but you can sign-up for a session with me to customize a letter that better suits your target. Asking for referrals if your network doesn’t hold the clients you’re looking for. And as always, following up! If you skip through to page 19, you’ll find a quick check list of all Elizabeth’s ideas and page 20 is another list of ideas on where to find high paying clients. Again, it’s not rocket science. The hardest part will be getting started. Click here to download 5 Simple Ways To Attract High Paying Clients This Week!